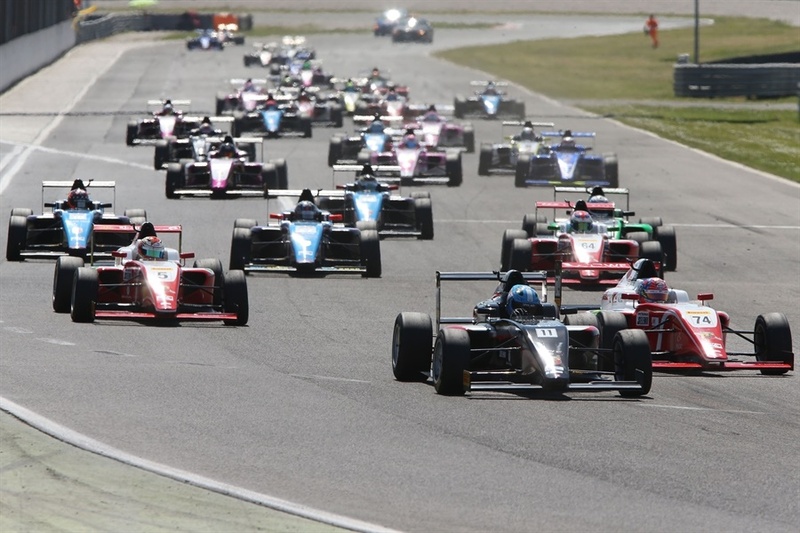 13/06/2018 – 2018 Italian F4 Championship Powered by Abarth confirms great participation of drivers. 28 of them from 9 different teams will take part to the appointment at Misano World Circuit – Marco Simoncelli. Practically, the drivers are the ones that have already participated to the 3 previous appointments and who intend to be present to all races of 2018 Italian F4 calendar. Rookie drivers, meaning the ones who have not participated to more than 3 racing weekends before start of championship, are in good number, 14, among which the returning Gianluca Petecof (Prema Theodore Racing), who had to accept a stop in Monza due to an accident occurred in tests by Prema. Gianluca will want to reconquer Trophy leadership taken from him by Petr Ptacek (Bhai Tech Racing). Championship standings see Leonardo Lorandi (Bhai Tech Racing) first with 143 pts, followed by Olli Caldwell (Prema Theodore Racing) with 120 and Enzo Fittipaldi (Prema Theodore Racing) with 103. Among Rookies first is Petr Ptacek (150 pts), followed by Gianluca Petecof, (135 pts), and Umberto Laganella (Cram Motorsport) with 98 pts.